I joined Salesforce to work on their new analytics product. 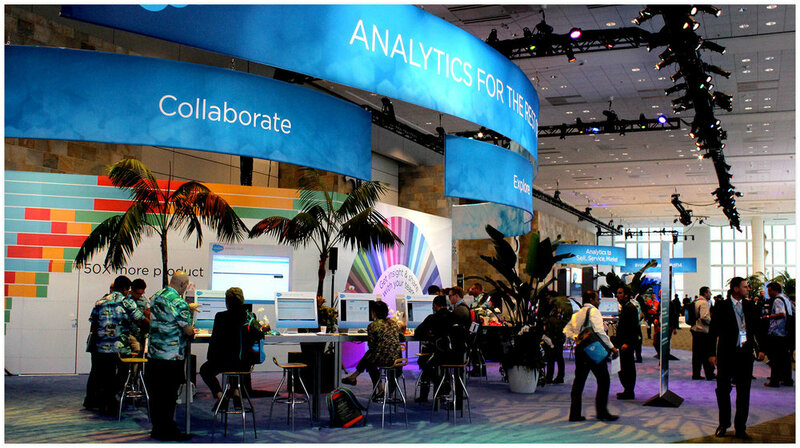 When Marc Benioff decided the "Analytics Cloud" would be the keynote product for Dreamforce 14, we had six months to prepare for the largest software conference in the world. The company that build the original product only had one part-time designer. While the product ran big-data queries at lightning speed, the design needed some reworking. As one of only four product designers on the team, I contributed to every part of the desktop product. My primary focus was to improve the core data visualization tool. I improved usability and information hierarchy, defined high-level product flows, and explored new data manipulation patterns. I also produced early concepts for the dashboard builder tool, file management and collaboration screens, and template creation patterns. User research studies showed my work significantly improved usability of the Wave product. At Dreamforce, the interactive functionality captured the imagination of Salesforce customers. The Analytics Cloud launch generated considerable buzz throughout the industry. Ultimately, the Analytics Cloud was successful in catapulting Salesforce as a major player in the business intelligence industry.